I’ve been holding off posting any previews of Yun-Bai-Du, the Mu-Panese city-state that will appear in NOD 9 later this month (well, hopefully this month). I haven’t actually drawn the map – though I do have it stored in my brain and hope to finally put the thing down on paper (or pixel) soon. In the meantime, enjoy a few sample locations. The Bronze Rooster: This restaurant is so named for the fierce bronze roosters that decorate the corners of the roof. The restaurant is a two-story structure set atop a brick platform with a comfortable patio. The patio has wicker chairs that are usually occupied by the old men of the neighborhood smoking long clay pipes. The patio is decorated with terracotta pots overflowing with chrysanthemums and jasmine. Beyond the door one enters a generously sized room with four large tables, each table capable of sitting ten people. The restaurant is run by Banaikht, a neat young man with saffron skin, dull black hair and striking blue eyes. Aloof and artistic, he regularly glides through the room overseeing the waiters and ensuring they are showing their customers every courtesy and then moseys through the kitchen sampling the cooking and giving brief, terse instructions to his chefs. Banaikht is married and has three young children, though wife and children never appear at the restaurant save for when she has them in tow on one of her shopping excursions. Banaikht is both chaotic and deeply impressed with fortune tellers and magicians. The restaurant specializes in duck, serving it in several elegant and tasty ways, and is also well known for its excellent stock of wine (some imported from as far away as Lyon) and dragon fruit imported from the margins of Terra Obscura to the southwest. Court of the Golden Rabbit: This brick courtyard is usually filled with a bazaar with booths selling exotic fruits and spices from the south. The bazaar is noisy and wonderfully fragrant, and is usually patrolled by two yari ashigaru. A brick shrine dedicated to the rabbit god Hu Tianbo is set in the middle of the bazaar and tended by a hoary old priest called Dawa. 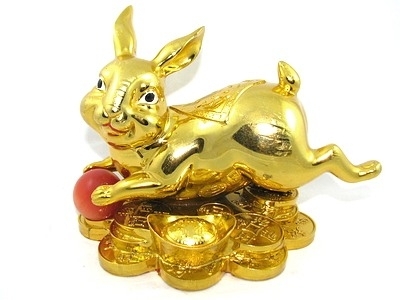 The shrine contains a brass idol of the Rabbit God, to which petitioners, always homosexual men, make offerings of chowed pork intestine and wafers of sugar. Dawa writes charms on pieces of paper and supplies them to worshipers for 1 sp each. The charms may be placed under one’s bed to bring luck in love. One booth in the corner of the bazaar might be of especial interest to adventurers. Qan, an alchemist’s apprentice, sells small rockets and firecrackers there on behalf of his master, Temubo, who dwells elsewhere in the city. Qan is a mousy man with bad hair and severe acne, but he is quite knowledgeable about his stock and fancies himself dangerous with the ladies. The court is surrounded by several spice exchanges run by Meng merchants. While shoppers purchase fruit and spices in the bazaar below, the spice merchants shout trade with one another up above using trained monkeys and pigeons to carry their orders and rolled up notes of exchange. Temple of Genbu: Genbu is a folk deity. Also called Invincible Warrior of the North, he is represented as a giant black tortoise of terrible demeanor – spikes on tail and neck, tusks jutting from mouth. The temple is made of black bricks and has terrifically sloping roofs coated in tiles of bronze stamped with glyphs of warding. The building has but a single story and consists of an inner sanctum surrounded by apartments for the priests and storage and an antechamber where worshipers can leave offerings of cabbages and river stones and make prayers to the deity. The floors of the temple are all bare earth. The inner sanctum holds a hepatizon idol of Genbu and is mostly given over to a large pit in which resides the living idol of the temple, a massive tortoise that, though not black, corresponds in most other respects to the idol of Genbu. A wooden ramp allows access into the pit, and though the tortoise is rather fierce with outsiders, he is used to the priests. At night, he is taken from his pit, which is then covered by an iron grate, and permitted to roam the inner sanctum. Tunnels leading from the pit go to three burrows in which dwell females of the same species – Genbu’s harem, one might say. Once per year, a sacred red cow raised on a monastery outside the city is brought into the temple as a sacrifice to Genbu. The cult of Genbu has about 250 avid followers in Yun-Bai-Du. The temple is under the command of Alasuja, a priestess of Kirikersan extraction, and home to 12 lesser priests. Alasuja has reddish-brown skin, dark brown hair that is always kept covered by a red scarf and blue eyes. Her appearance is always immaculate, and usually overbearing. I love it. Inspiring, and it has a lived-in feel that's missing from most RPG writing. I especially like the steep roofs of Genbu's temple. Beautiful. A good read and a lot there to be used for inspiration. I really need to pick up some NOD issues. Trey – It's an acquired taste! Eric – Thanks! Number 1 and 6 are free – just check the sidebar.